The Polar Vortex and short month of February did not deter Net Impact Chicago (NIC) from having 2 great events! 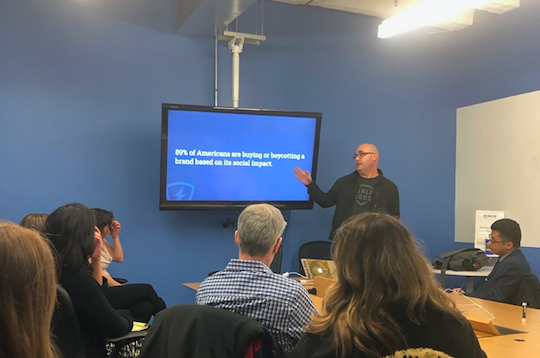 On February 13, NIC partnered with the Chicago Chapter of Net Squared to have an interactive and informative CEO talk by Dan Ratner of Public Good Software at Chicago's premier digital business incubator, 1871. Dan is a serial entrepreneur, writer, impact investor, husband, and father of twins. His talk touched on "transformation in Corporate Purpose" as well as his background in tech and ecommerce, as well as politics when he was Director of Technology at Obama for America 2012 campaign cycle. His work at Public Good Software helps nonprofits/ cause-driven organizations partner with large brands/ companies to achieve mutual goals and positive social outcomes via digital communications campaigns and tech. Look for other partnerships with local organizations in future NIC programming ! 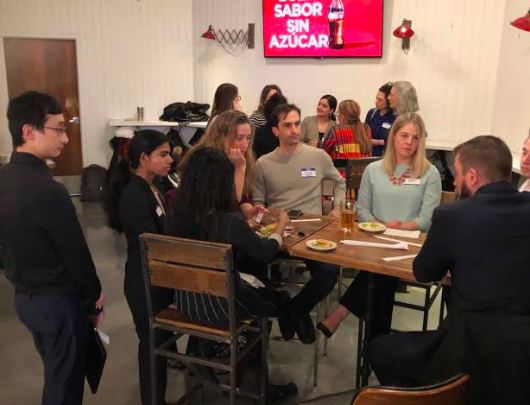 On Feb 20, NIC hosted a Networking Roundtable Happy Hour. Rescheduled from Jan 31 due to the severe weather at that prior time, attendees were eager to emerge from hibernation and learn about Net Impact from the NIC Leadership Team volunteers. Thanks to NIC Leaders Barbara, Clare, and Casey for facilitating the logistics and tables. At the bustling Loop food court Latinicity, over twenty five Net Impacters and the Net Impact-curious convened over chips, salsa, and beverages to meet each other and discuss the topics of environment, diversity / race, and corporate social responsibility Though these weighty issues were not solved in one evening, Net Impact Chicago attendees had meaningful conversations and built up the local impact community. NIC seeks a balance of social and substantive-content events, as well as just plain having fun.